Pushing Daisies aired on ABC for two seasons from 2007-2009. March is usually best known for basketball brackets, but Esquire magazine decided to do a different kind of competition. They collected a bunch of critically acclaimed shows that had been cancelled over the years and had readers vote on the ones most deserving of a reboot. Pushing Daisies, which had a two season run on ABC, and the cult-hit Firefly were the final two shows. The voting was intense and over the course of a few days both shows were neck and neck, the leader changing constantly. In the end, though, Pushing Daisies was victorious, with a final vote of 56% to 44%. During the course of the voting, Pushing Daisies star Lee Pace and Firefly star Nathan Fillion were tweeting back and forth, insisting their own show would win. Now that we have a winner, the question is: what’s next for the quirky comedy? 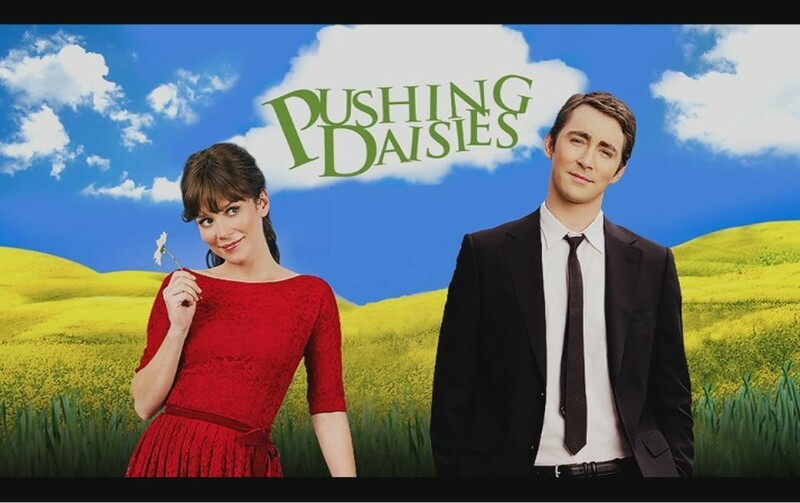 Pushing Daisies first aired in 2007 on ABC and was a hit almost right away. Ned (Lee Pace) made pies and owned his own restaurant but had another talent as well: with one touch, he could bring a dead person back to life. Things get complicated when he brings his childhood crush Chuck (Anna Friel) back to life but can’t touch her again or else she would die. He works with private investigator Emerson Cod (Chi McBride) to help solve murders as well. The show received rave reviews and its first season was a success. It was even nominated for several Emmys and Golden Globes. Unfortunately, when the 2008 writers’ strike hit and the show went on a hiatus, viewers lost interest and its second season was nowhere near as popular. This resulted in its cancellation in 2009. However, now that it has won the reboot competition, will it really come back on TV? Lee Pace said he would love to play Ned again. Esquire did an interview with Lee Pace asking exactly that. First, they wanted to make sure Lee was on board to return to the show if it happened. He said absolutely. “We got cancelled too suddenly. It would be satisfying to kind of just finish it and be in that world again. I’d love to do it. I’d love to play Ned again.” Lee also added that he and Bryan Fuller have discussed many times what they would do plot-wise if the show came back. While nothing is official yet, Lee assured fans to “Never say never,” and that even a movie is not out of the realm of possibility. What do you think? Were you a fan of Pushing Daisies when it was on air? And if it came back, what would you want to see? Let us know in the comments or tweet us using #glamorouspaper!